How many times can you tell the same story using comics? Cartoonist Matt Madden shows you in this book. 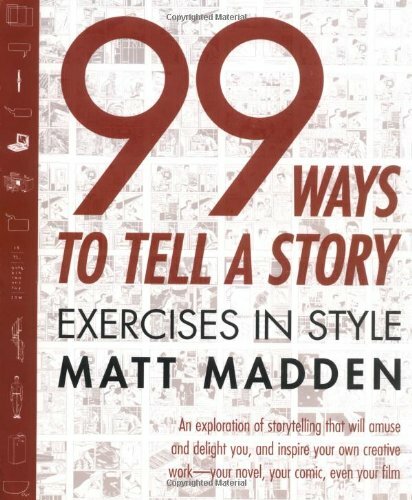 This book only has one simple story that's repeated 99 times, in different drawing styles, flow, narrative techniques and even genres. After a while, it does get repetitive but it makes a strong point at just how versatile graphic storytelling can be. There's no one way to do it, and it comes down to what you want to show and your style. It's certainly a creative challenge to attempt something like this. And it's definitely not easy. You can read the book sequentially, or just dive in at any page. You can probably revisit this book in the future for reference, to get some ideas. There are no instructional text though.